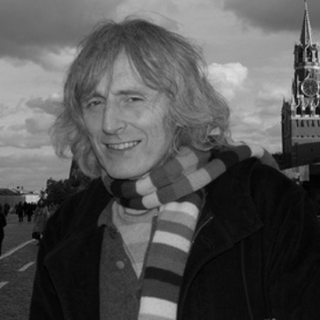 Christopher Hird is a leading figure in UK independent documentary making. 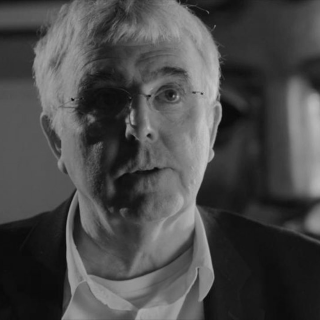 He is a former chair of the Sheffield International Documentary Foundation, was the founding chair of the Channel Four BRITDOC Foundation and is a trustee of the Grierson Trust. After more than twenty years as a television reporter and producer, he started Dartmouth Films in 2008, producing films which have been funded by private investors, grants from foundations, pre-sales to broadcasters, crowd funding and commissions from television. Successes include The End of the Line, which premiered at the Sundance Film Festival in 2009, The War You Don’t See, presented by John Pilger and most recently the double-BAFTA nominated McCullin, and the Grierson-shortlisted The Fire in the Blood, which was shown at Sundance in 2013. Maja is currently working at CEB in London (the worlds leading member-based advisory firm) as the EMEA Director of their Workforce Surveys and Analytics Business. Besides her education in neuroscience and curiosity for human brain and behavior, she is a human rights activist and has supported efforts ranging from relief projects in Haiti to public health reform initiatives in Bosnia. Maja is the Co-Founder and President of Riders of Hope, a 501c3 non-profit focused on providing therapeutic horse-back riding to children with special needs in Bosnia and Herzegovina. Peter Muffett is Managing Director of the DTV Group who work in partnership with NGOs worldwide to inspire support through TV and film As well as bringing his professional skills to the project, Peter cycled from London-Edinburgh in four days to raise money for phase one of the shoot. Richard Parry is a Bafta-nominated film maker who has covered many conflicts -including the war in Bosnia - and spent 15 years making the feature documentary Shooting Robert King. Other cinema releases include SW9 and A Night in the Woods. Documentary credits include National Geographic, Discovery, Channel 4 & the BBC. Helen Patton is the founder and chairman of The Patton Foundation U.S.A. and The Patton Stiftung: Sustainable Trust in Europe. She received her Master of Fine Arts in Directing from Northwestern University and her Acting Diploma from The Royal Academy of Dramatic Art in London. Her most recent producing credits include Helmut Simon’s documentary Germans. Living in Israel and Manuel Gerber’s drama Leitfposten. She is currently producing Georgie-Young Patton a feature film about her famous grandfather Gen. George S. Patton Jr.’s WW1 years. John Mister has over 30 years of experience and has worked with Nick Broomfield (Chicken Range, Driving Me Crazy), Kim Longinotto (Hidden faces, Dream Girls), Saul Dibb (Lifters, Bullet Boy) and recent credits include Moving to Mars, The sound of Mumbai, McQueen and I and the Dark Matter Of Love. Christine Pancott has a BAFTA for best sound on a documentary (Blues and Twos). Starting in film cutting rooms she has spent the last 30 years storytelling through editing with her forte being documentary series, covering everything from The History of Cancer to Trawlermen to Joanna Lumley's Nile. She has also cut for award winning director Richard Parry on 2 of his feature films - South West 9 and A Night in the Woods. Dr. Nirvana Pistoljevic has a B.A. in Psychology from Rutgers University, an M.A. in General and Special Education, an Ed.M. in Instructional Practices in Special Education, an M.Phil. and a Ph.D. in Applied Behavior Analysis from Columbia University. 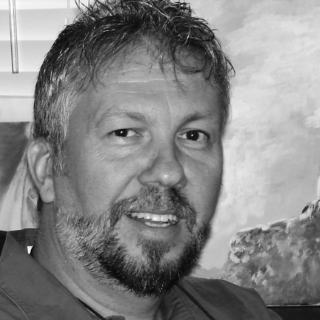 Dr. Pistoljevic is a senior Behavior Analyst and Assistant Research Scientist through the CABAS® system and is a published researcher and invited lecturer in the fields of education, psychology, behavioral science and language. Also, Dr. Pistoljevic has established an NGO “EDUS-Education for All” committed to advancing educational practices in Bosnia & Herzegovina. She is also on the board of directors of the Bosnian-Herzegovinian-American Academy of Arts and Sciences (BHAAAS), and helps organize a scientific conference and knowledge. Dr. Esad Boskailo is a survivor of six concentration camps in Bosnia-Herzegovina and co-author with Julia Lieblich of Wounded I Am More Awake: Finding Meaning after Terror (Vanderbilt University Press, 2012). Esad Boskailo is a Clinical Associate Professor in the Department of Psychiatry at the University of Arizona College of Medicine - Phoenix and Associate Director of Psychiatric Residency Training at the Maricopa Integrated Health System. Senita Slipac is the founder and president of Bosana Foundation, a non profit organization dedicated to empowering and improving the economic and social well being of marginalised youth in Bosnia and Herzegovina through the delivery of targeted education, scholarhips livelihood development programs. Senita has worked on projects focused on peace, education, human rights, microfinance, community development and the empowerment of women. 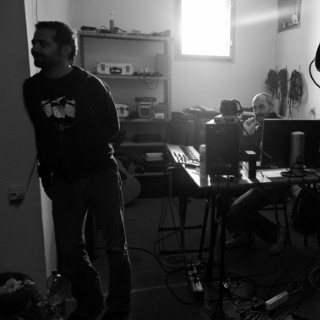 Nedim Zlatar and Leonardo Šarić are two Sarajevo based music producers who in 1999 formed the award winning music group Basheskia & Edward EQ. Nedim is a drummer and music writer and Leonardo an opera singer. Together they have released 3 albums, composed soundtracks to an Oscar nominated film and recently won an award for their soundtrack at a major European film festival. The unique mix of retro electric sound and nostalgic guitars along with using live instruments with sequencers and samples makes Basheskia & Edward EQ one of the most popular music groups from the Balkans. Gabi has worked in British broadcast TV as a producer/ director for over 15 years before moving into high end campaign films and educational media. In 2008 she completed a master in Human Rights in LSE with a focus on post conflict peacebuilding and grassroots justice processes in the Balkans and maintains an active academic interest in this field. Her films for The Elders have been shown at the CGI, Davos and the UN, kickstarting a global campaign to end child marriage. Gabi also works as a freelance consultant for the UN High Commission for Refugees, the Open University and NGOs working on peacebuilding. Between 2011 and 2013 she was employed by the Open University to devise and run an innovative community engagement project on poverty ,with academic and community partners in Northern Ireland. Drawing on her expertise and networks in the fields of film, academia, public engagement and human rights policy and practice, Gabi specializes in devising and delivering strategic and creative approaches to using media for social change. Aleksandar is a translator, interpreter and language mentor with over 8 years of experience in translation. He has worked for a number of organisations including PBS, the Open Society Foundation and the Sarajevo Film Festival. Aleksandar comes with experience working as both translator and adviser on several similar projects, including PBS's documentary series "Women, War and Peace." Aleksandar is currently employed as a language mentor at the Five College Consortium, teaching Bosnian/Croatian/Serbian to students from Smith College, Mount Holyoke College, Hampshire College and University of Massachusetts Amherst. Srđan was born in Mostar in 1991, where he finished primary and high school of fine arts. Srđan studies journalism and is an active member in the cultural and creative community in Mostar. He writes short stories and articles for local media and is an avid communicator focusing on youth problems with segregation and nationalism. Emina has an International Law postgraduate degree from University of Westminster where she was awarded for her academic excellence. Her focus is on International Humanitarian Law, International Human Rights Law and International Refugee Law. She is a human rights activist and a member of the NGO Youth Initiative for Human Rights Sarajevo. Emina as lead numerous street actions regarding the reconciliation, confrontation with the past and overcoming the differences between the youth in the Balkan region. 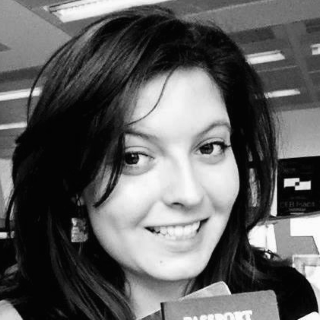 Emina currently has an internship at the Immigration Law office of Descartes Solicitors, with a focus on refugee law. Jasmina has always been interested in the protection and advancement of human rights and democracy, especially from the aspect of democratic law-making activities. She has a law degree from the University of Sarajevo and has a MA in Nationalism Studies from the Central European University in Budapest.